I apologize for my infrequent posts over the past few weeks! I have been traveling a bit for work including a week to NYC and a day trip to San Francisco (not recommended if you live in the eastern half of the US as I do…) so that has taken away from my baking/cooking time, but not from my eating time. Here I share with you the best of what I ate on my travels. Fancy Italian coffee at Eataly. The market at this place is out of site. The whole gluten-free-for-Lent thing was not the most fun to keep up with while in New York but fortunately I discovered macaroons are made with almond flour and proceeded to eat like twenty of them. 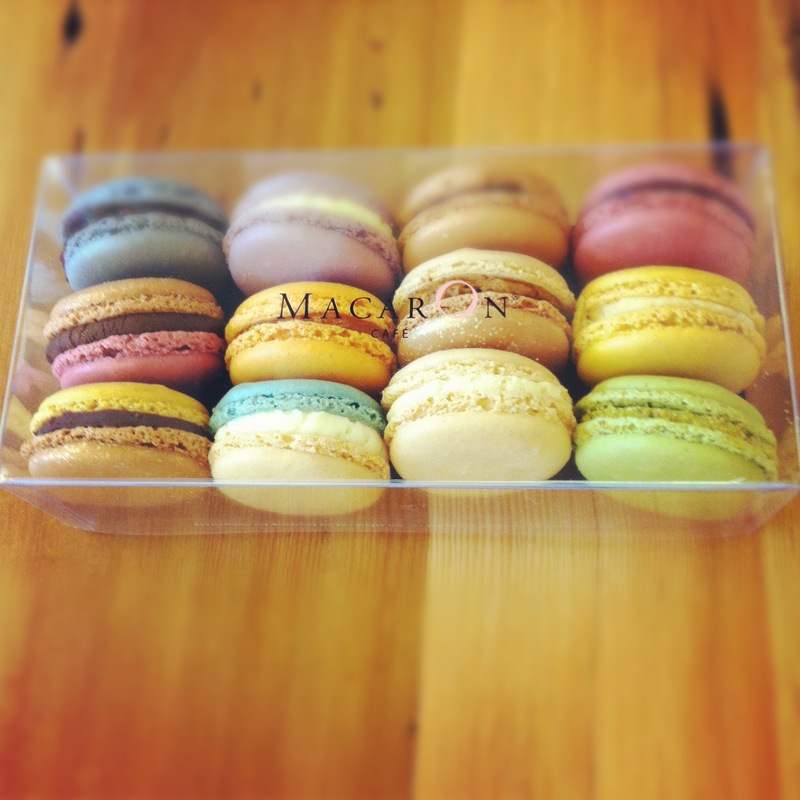 From Macaron Cafe which is both delicious and conveniently close to my company’s NYC office. Score! 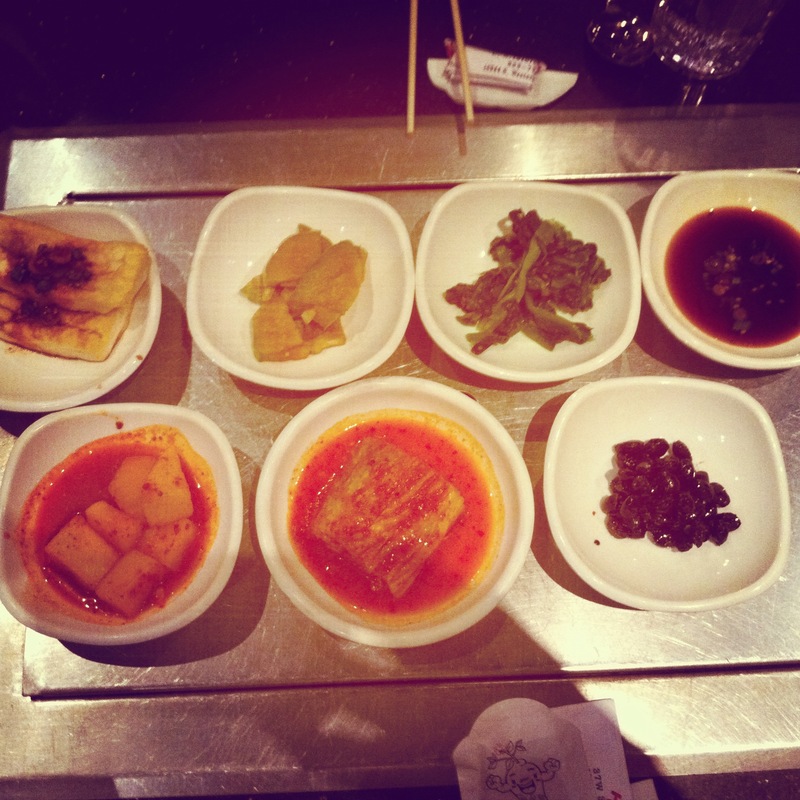 Korean food in Koreatown. Bibimbap, seafood pancake, and the “free” pickled stuff that comes before the meal were all amazing and are a much missed ethnic food that is nonexistent in my current neck of the woods. 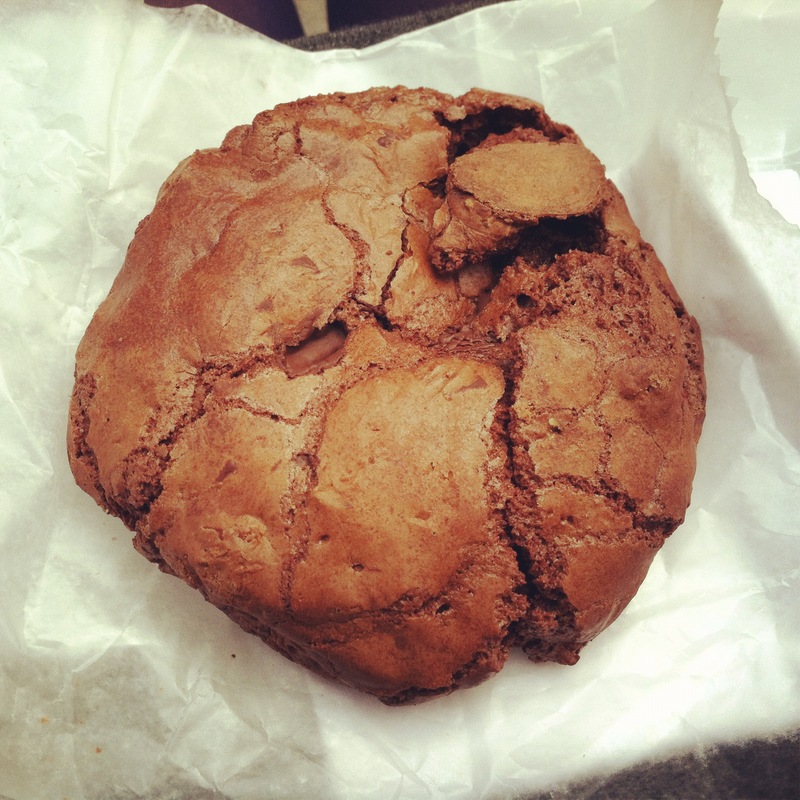 Flourless chocolate cookie from Dominique Ansel in Soho which is both a beautiful space and a tasty bakery. Sometimes you get one and not the other, but rarely both. What a treat. This cookie was thoroughly enjoyed on a bench in the sun with a good friend. What more do you want out of life? Not pictured but worth mentioning: Peruvian chicken and Salchipapas at Pio Pio. Salchipapas are basically French fries with chopped up hot dogs in it. If I would have known about this dish as an eight-year-old it would have been my favorite thing to eat, but even as an adult it’s pretty stinking good. I was literally in San Francisco for all of 13 hours and about 7 of them were spent working but I was happy to have been able to meet up with an old friend for dinner in the Mission. Unfortunately I neglected to photograph any of our food but I can guarantee you it was all delicious. We ate at Lolo which is a Mexican/Turkish fusion tapas place. My favorites were the fried Brussels sprouts, asparagus with Turkish cheese, and the carnitas tacos with blue corn tortillas. We tried to get ice cream (my favorite food ever) at Humphry Slocombe but unfortunately they were already closed by the time we hoofed it over there. Next time. Their Blue Bottle Vietnamese Coffee and Peanut Butter Curry flavors sound awesome. I have done a bit of baking and a little ice-cream-making this weekend so will be back in the swing of things later this week! Check back in later. Totally agree on the black sesame flavor!! OMGoodness, next time me with you! 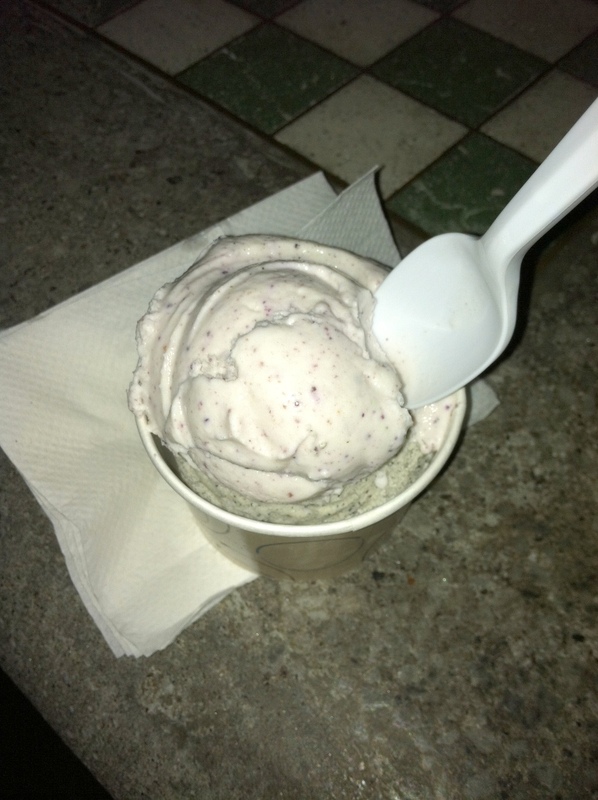 The taro and black sesame ice cream is a regular sight when I am in Japan…wish I was not lactose intolerant…the Korean food laid out is just too fantastic. I want to dive in. 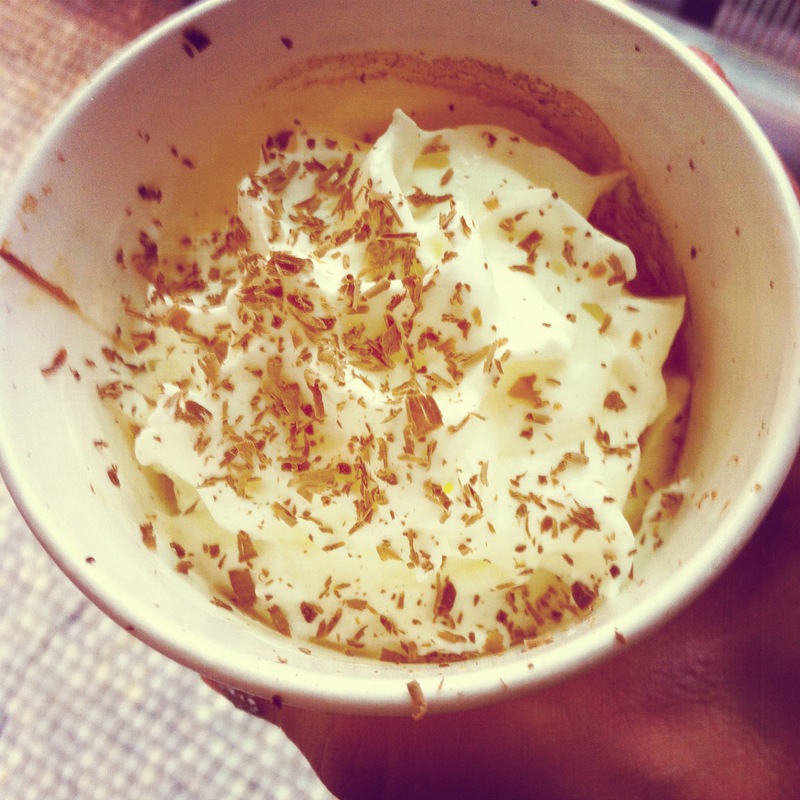 However, the coffee…omg, I want to try that coffee!! The food pictures do look great. I lived in the Monterey Bay area in California for 2 years, and we made many trips to San Francisco, they have so much to see there. All of the food and coffee’s I had gotten there were great. I loved the chocolates at the mall that is brick in the center of the area. I forget the name of it. But they had this one shop that I liked to look at there russian stacking dolls, we were there from 1998 to 2000. That is when I started collecting them. I have plenty so I do not do that any longer. I just display the ones I have. I will look forward to your food posts because I am sure you got many new ideas. Great pictures. Thank you for sharing. I am looking forward to some of that cooking and ice cream making next weekend.